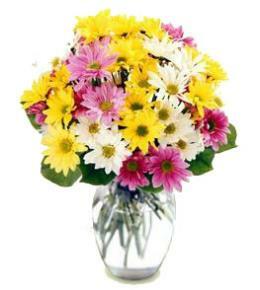 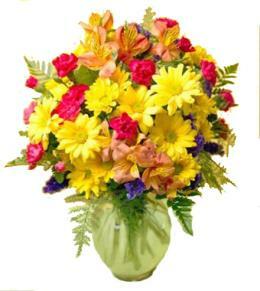 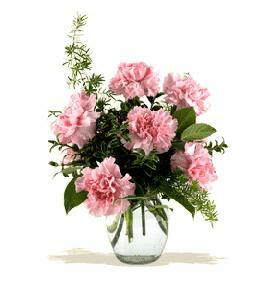 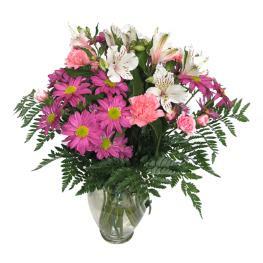 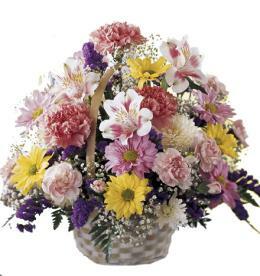 The Stunning Beauty Bouquet is an absolutely lovely way to send your message and affection across the miles. 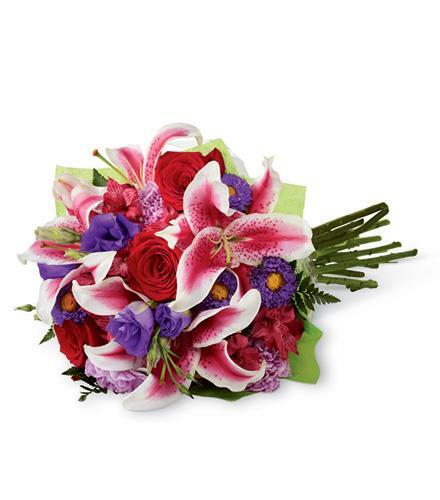 Fragrant Stargazer lilies stretch their star-like petals across a bed of rich red roses, lavender flowers, red alstroemeria, purple lisianthus, purple asters and lush greens. 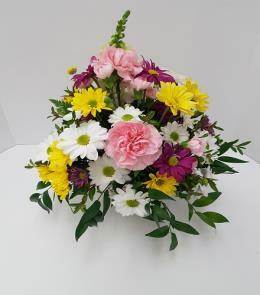 Euro Style Hand Tied Cut Bouquet - Stunning Beauty Hand Tied.